While Sicily itself is green and lovely after the rains, Palermo doesn’t have many spacious parks or gardens. This is in part why exploring Orto Botanico di Palermo (Palermo Botanical Garden) was a treat for my wife and I. It covers about 30 acres and has a large and interesting variety of plants that are pleasant to stroll through. Orto Botanico also conducts research for the Department of Botany, University of Palermo. Stupas, or dagobas, are very commonly found throughout southeastern Asia. I’d never seen one with legs before my visit to Sambodhi Chaithya, located on Marine Drive adjacent to the Harbor in Colombo’s Fort district. 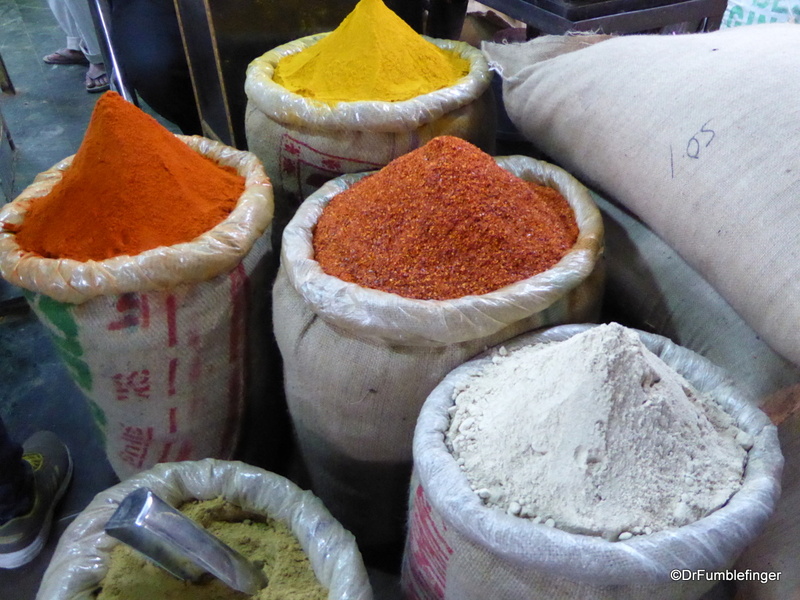 My favorite market in Delhi was its spice market, which happens to be Asia’s largest spice market. The market straddles Khari Baoli, a street near the Red Fort. The street’s name is derived from ‘Baoli’, meaning step well, and ‘Khari’, meaning salty. The market dates to the 17th century. Many of the shops have been in the families for a long time, some even run by the ninth- or tenth generations. Like all good spice markets, Delhi’s is fragrant, colorful and tempting. Besides a large variety of spices and herbs, you can buy other food items like nuts, tea, pasta and rice. Everything is beautifully displayed. Situated on Buenos Aires’ busy Avenida de Mayo is a charming cafe that’s worth looking up. Cafe Tortoni was founded in 1856 by a French immigrant who fashioned it after Paris’ cafes of that era. To say he did a great job is an understatement. Walking in from the busy avenue does indeed seem like stepping into Van Gogh’s Paris. Cafe Tortoni moved to its current location in 1880. It has remained largely unchanged since then. We visited for coffee and a pastry with some friends during our stroll down Avenida de Mayo. Both the company and refreshment were excellent! And the ambience was most memorable. Dubai is known for its beautiful modern architecture. Yet permanent structures are relatively new to the region. Historically most of the Arabs who lived here were nomadic and did not leave behind physical monuments or buildings. As such, older regions of Dubai are hard to find. I’m a sucker for weddings. I understand that many couples don’t stay married, but there’s something appealing about the excitement, optimism and pageantry of the wedding day that appeals to me. I fondly remember my own wedding day some 33 years ago (still happily married), and more recently those of my two sons. I’m old-fashioned enough to consider marriage the cornerstone of civilization. While traveling, I like to take the opportunity to snap photos of wedding couples when possible and I’m not being intrusive. There were a lot of weekend weddings in fall in Krakow, some of which I had a chance to photograph. As always, my very best wishes to each of these couples. Even though I’d heard about it, I wasn’t prepared for how chaotic the street wiring in Old Delhi is. There are many places in the old city where you’ll see spaghetti-like masses of live wiring that seem to be incapable of being untangled or understood, yet somehow Delhi electricians figure it out and keep the power flowing. There seems no plan, no logic, no reason to it. It just seems to have evolved like some hideous beast. By far the worst that I experienced was the Chandi Chowk Market area. It is one of the oldest and busiest markets in Delhi and is not far from the Red Fort. These photos were taken while walking those streets. During our last visit to Florida, my father and I drove from our base in Orlando to explore some of Florida’s east coast. Our destination for the day was the Merritt Island National Wildlife Refuge, not far from Titusville. 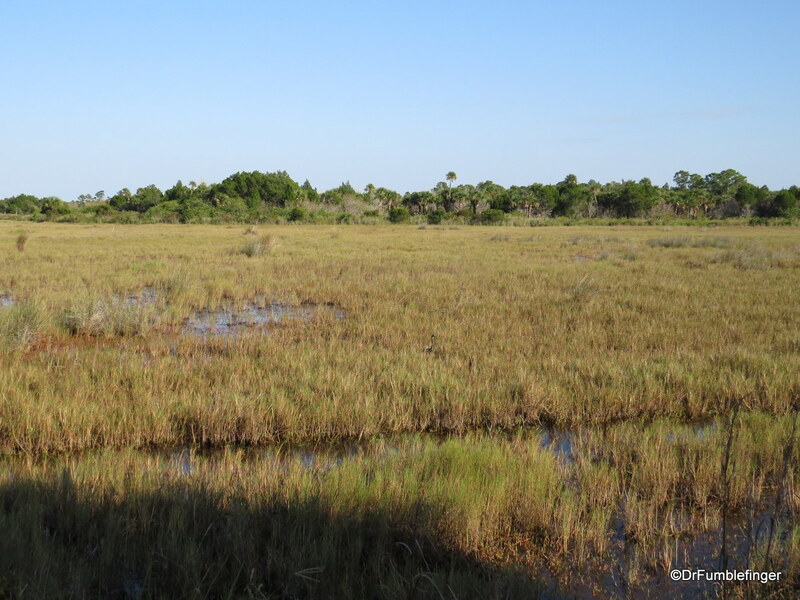 This is a massive preserve, some 140,000 acres (57,000 ha), situated on the same island as the Kennedy Space Center. Because of its close proximity to the Space Center, there are rare times when NASA restricts access to this National Wildlife Refuge (e.g. when the space shuttle was landing in Florida).